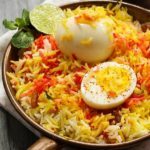 egg biriyani is a healthy dish which can be served as dinner or lunch.It has amazing flavours.Try this egg biriyani dish into your home. For preparing this easy lunch/dinner recipe, wash and soak rice for about 30 minutes. Soak the saffron in luke warm milk. Heat oil in a pan over moderate flame. Add sliced onions and fry until golden brown. Once done, keep them aside in a plate. For preparing eggs, hard boil the eggs and pierce them randomly with a fork. Lightly fry the eggs in the remaining oil. Remove and keep aside. Take some oil in a pan, add the whole spices and cook till they begin to splutter. Add ginger and garlic paste and saute until the raw smell goes off. Add chili powder and garam masala powder. Saute just for few seconds. Now, add yoghurt, salt and mint leaves. Add eggs, along with ¾ of the fried onions, stir well and cook over medium-low heat until the gravy thickens. Remove it from the stove and set aside. 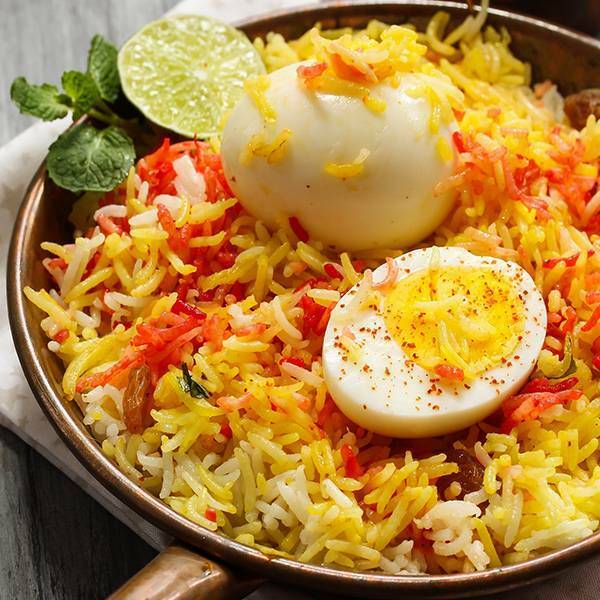 For preparing the biryani, bring 6 cups of water to a boil and add the spices and salt. Allow it to simmer for 4 minutes. Add the rice and drain it when cooked al dente. Reserve 1 cup of the water. Add half of the rice to the pot, layer the eggs along with masala. Layer again with the remaining rice. sprinkle the mint leaves and the rest of the fried onions. Also pour the saffron soaked milk. Sprinkle the reserved water and the kewra water. Seal the pot with a tight lid or an aluminum foil. Place on high heat for about 5 minutes. Place the pot over a girdle on low heat for 10 minutes. 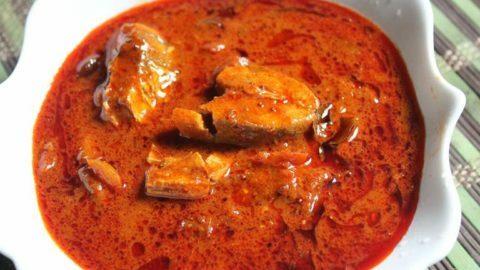 Switch off the stove and allow it to rest for another 10 minutes. 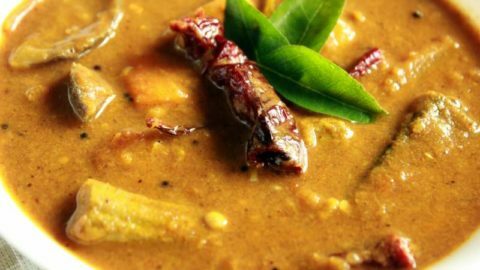 Open the biriyani and serve hot with a flavorful chutney.